Let me tell you about a super sale....... and it doesn't expire like Black Friday deals! 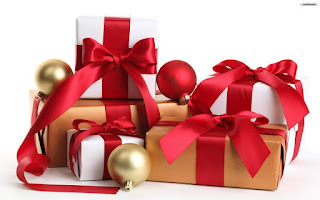 THIS is THE perfect gift for yourself this Christmas. Or for your spouse (hey, guys.....wink, wink!) or for your mom, sister, aunt, best friend. This gift contains so much wellness it is amazing. It is offered at less than 50% off the retail cost. Now THAT is better than most Black Friday sales, am I right? What is this spectacular gift? It also includes two special essential oil books from us to help you jump start your Essential oil learning. One of them has lots of recipes too! AND membership in a private 2200 member Facebook group where you can learn and ask questions. AND you have Leah and I as your essential oil gurus to help you learn! AND you'll get two weeks of daily emails to get you off and running with basic knowledge. AND a special Think Oils First class in person or via video. And finally it gives you a wholesale membership and 24% off retail prices of all products. This magical present that can improve your life is the Premium Starter Kit. Get it now to have it in time for Christmas! Click on the Young Living tab above with info on how to start! Or send us a message using the contact us spot to the right of this post. Now........if you know you want to really work on getting those toxic chemicals out of your house, then the best option is as our Essential Rewards member. We take that wholesale membership and start earning points back on everything we order. Young Living starts you at 10%. On the fourth month you go to 20% and eventually go to 25%. In addition to that, you also get free gifts at 3, 6, 9, and 12 months with 12 months being this awesome Loyalty oil that you cannot buy otherwise. In addition, you also get free or discounted shipping depending on which program you choose. It is like your shopper's club meets your online home delivery service meets your cash back credit card but we just do it WAY better! Just tell us which way you want to go! Thanksgiving can often be filled with relatives and good food. But, sometimes it can also be filled with stress and sleepless nights. The following information was shared on a Facebook page called Young Living Training and Education. 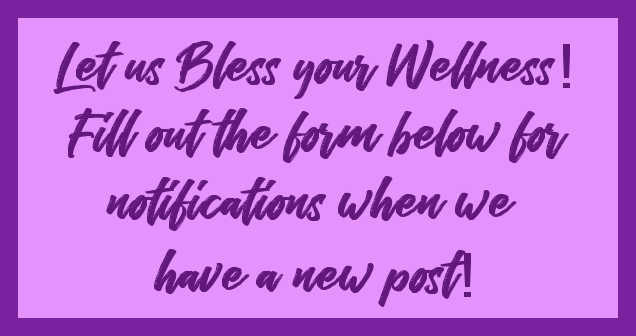 BUT, I know that not all of my viewers are on Facebook so I have reprinted their information here because we could all use the help these oils provide! You don't need Thanksgiving or any other holiday to have a reason to use them! It's time to reset! If you are interested in any of the oils mentioned below, you can get them from us! 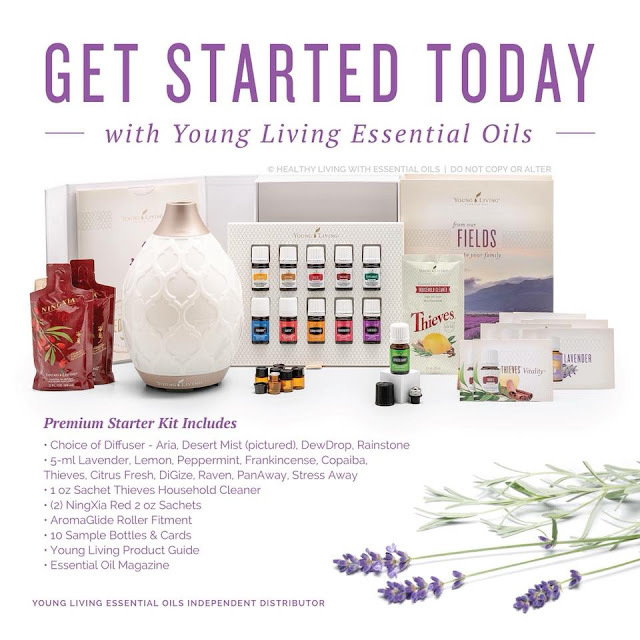 Click on the Young Living tab above to see several different ways you can order. Reset your mindset! Find harmony amidst the many situations life throws at you by combining essential oils and calming techniques. • Gently rubbing oil between your hands and taking deep breaths while cupping your hands close to your nose. • Applying oil to the nape of your neck or to pulse points, such as your wrists or temples. • Diffusing oil in your space, whether at home, in the office, or in the car. • Placing a few drops on your favorite diffuser jewelry or piece of clothing and using for inhalation. Hit every red light on your morning commute? Find a passive-aggressive email in your inbox? Some days it feels like nothing is going right, and other days you simply wake up on the wrong side of the bed. Whatever the source of your frustration, take a minute to refocus and realign with these ideas. • Stress Away™: Unwind with this relaxing and comforting aroma. • Forgiveness™: Forgive yourself and others with a scent that invites you to release negative feelings. • Release™: Let go of anger and frustration and promote a balanced atmosphere with this rich, grounding aroma. • Give yourself a 10-minute “time out” to wind down and refocus. • Call a close friend or family member and talk it out. • Take care of your basic needs. A quick nap or snack can do wonders when it comes to moodiness from lack of sleep or food. • Get away for a minute with a book break, nature walk, or dance session with your favorite jam. • Practice a positive affirmation: I am loving and forgiving. Some days you just don’t feel like yourself. Whether you know the cause—an unexpected breakup or unresolved argument—or you’re simply stuck in a rut, being proactive about your feelings can help you take control. Try on some of the suggestions below and speak with a trusted friend to work through your emotions. Sacred Mountain™: Promote feelings of strength, empowerment, grounding, and protection with this earthy aroma. Tangerine or Grapefruit: Uplift your day with a bright, cheery scent. Hope™: Restore your faith and reconnect with strength and stability with this grounding aroma. • Focus on yourself. Schedule time every day for 30 minutes or more of self-care. • Give yourself a treat with a relaxing night in. • Write it out. Journal about your feelings, create a gratitude list, or write a thoughtful card to someone you’re grateful for. • Practice a positive affirmation: I choose and deserve to be happy. Between bills to pay, permission slips to sign, cupboards to fill, and texts to respond to, it’s no surprise that you sometimes feel like there are too many tabs open in your computer and in your mind. In the midst of the chaos, take a moment to center your life with the ideas below. Transformation™: Surround yourself with a scent that helps you replace negative beliefs with uplifting thoughts. Peace & Calming®: Harness your positive energy with this relaxing and comforting aroma. Grounding™: Diffuse this scent to enhance spirituality or encourage feelings of clarity. • Focus on mindfulness and the present moment with a breathing exercise. • Practice the art of delegation. • Remember to let yourself say no to some things. • Prioritize your to-do list. Once you know what’s most important, you’ll feel empowered to get started. • Practice a positive affirmation: I let go of feeling overwhelmed, so I can see clearly. 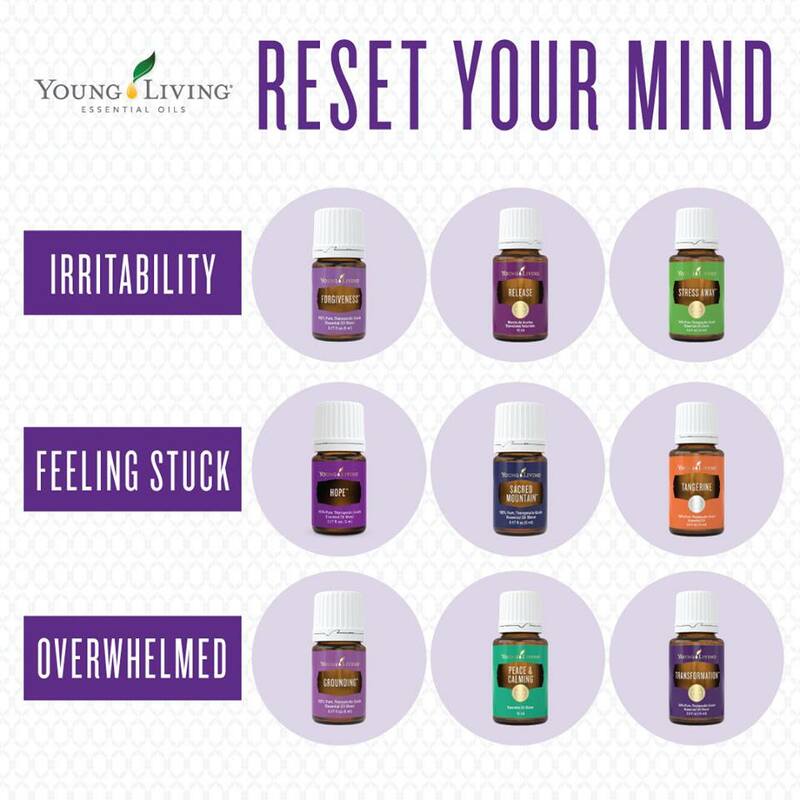 What is you favorite oil to help you reset your mindset? Labels: Forgiveness, Grounding, Hope, Peace & Calming, Release, Sacred Mountain, Stress Away, Tangerine, Transformation. cleaning it up will happen on a different day. My quest to delete toxic chemicals is slowly making our house happier and the inside air sooo much better for you to breathe. 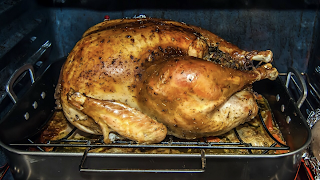 So what do you do when faced with an oven mess from your turkey day fixings? We are so programmed to think that only commercial cleaners will do the trick. Well, today we will look at a proven recipe that does a decent job. It uses an ingredient we often use in other areas of our house along with several essential oils that make the job easier and delightful to smell. Instructions: Make sure that your oven is completely cool before beginning. In a small bowl, add baking soda and essential oils. Stir in 3 tablespoons of water. Stir until all The clumps are gone. You can add extra water if needed. Spread the paste everywhere needed and let sit for 5 minutes or so. With your cloth or sponge scrub lightly with circular motion to loosen the grime. Wipe out grime rinsing it often. Need to purchase the essential oils for this recipe? Click on the Young Living tab above for different ways you can order. Special thanks to “Recipes with Essential Oils” for this recipe. Pumpkin Pie! Some think that it is the most favorite taste and calls many well before Thanksgiving. Pumpkin spiced lattes and a whole lot more. Sometimes life has a way of getting IN the way and our pumpkin pie fix may not happen as it did in the past. So........fix yourself some of this! Eat it slow either warm or cold and give thanks for all that you have been blessed with. Even if the blessings are in disguise! You can even take this with you if you can't be at home. 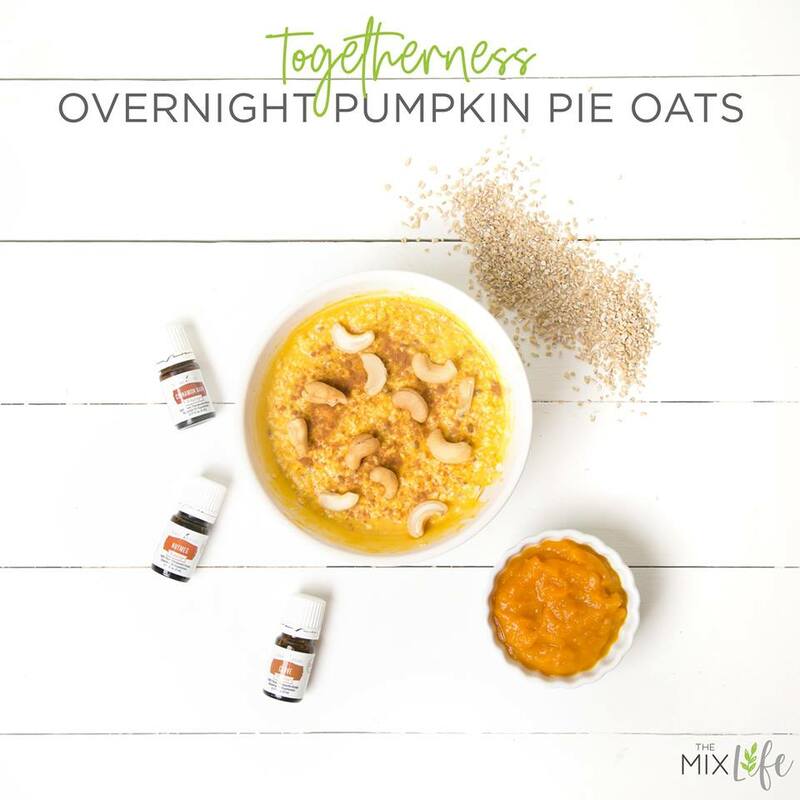 In a medium bowl, mix together yogurt, almond milk, pumpkin puree, vanilla and maple syrup until well combined. Stir in oats, chia seeds and spices. Pour into a glass jar or container, top with chopped pecans and cinnamon if desired, and place in fridge for 4 hours or overnight. Makes 1 serving. Savvy ways to be Savvy! Young living has a mineral makeup that is totally free of toxins like Bismuth and others. I made the switch about 18 months ago and just LOVE it. I don't feel like I have anything weighing down my face. Have you made the switch to Savvy Mineral?, Do you get confused on when to apply what to get a full Savvy face? 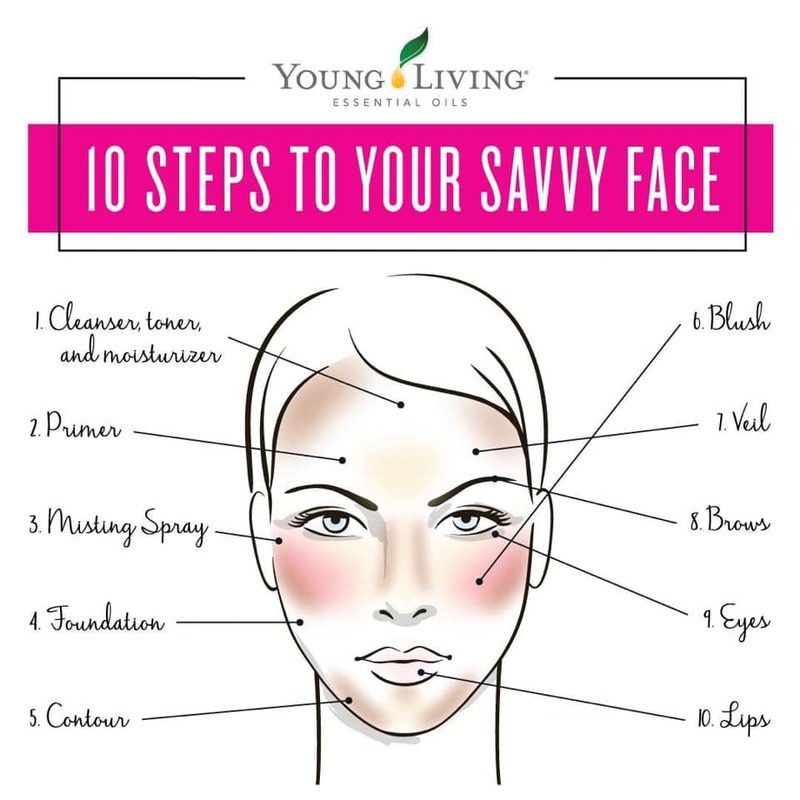 Well, here is a graphic that shows you an application order to apply your Savvy in 10 easy steps. 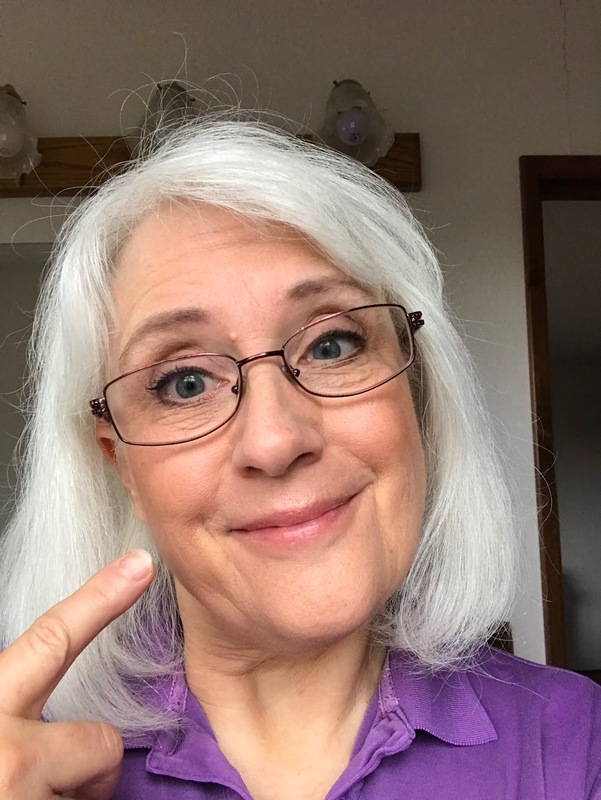 I have found that everyone applies Savvy Minerals slightly different depending on what works best for them, so we encourage you to find an order that works best for you! Keep at least the first two steps in order to really enhance your Savvy durability and application. Here is the order that works well for us with options listed in red. Cleanser, toner, moisturizer. This is a must!! Primer- a primer helps prepare the skin for makeup application by helping reduce the appearance of pores and wrinkles. It also helps foundation adhere to the skin resulting in less foundation used and better overall coverage. 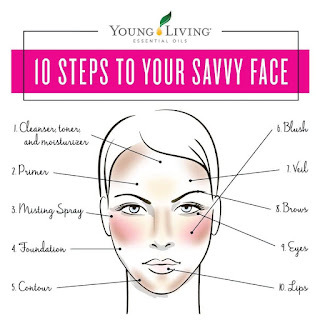 As you can see from the options, you don't need ALL the Savvy products to start using the product! Ann uses the foundation, hydrating primer, multitasker for brow, liner and eyeshadow, blush, and lipstick (only if she needs to look more fancy! AND........you may already have your own makeup brushes. Leah had her brushes from Merle Norman. After comparing them to the Savvy Minerals brushes, there was NO comparison. The Savvy brushes feel like mink because they are soooo soft. They are also constructed with materials that pick up the mineral makeup way better than other brushes. They are worth every penny! If you are interested in the Savvy products, please click on the Young Living tab at the top to see how you can order your own. We are happy to give your the support you need in making YL decisions and how to use the product! What are your top 5 favorite Savvy products? We’d love to hear! For many the aroma of Cinnamon Bark essential oil will transport you to another place. Maybe it reminds you of cold weather, hot cider, Christmas morning or just eating a fresh cinnamon roll on Sunday mornings. What kind of memories do you have with the aroma? Let's learn a little about this awesome oil! Where does it come from? All cinnamon comes from the bark of a tree. 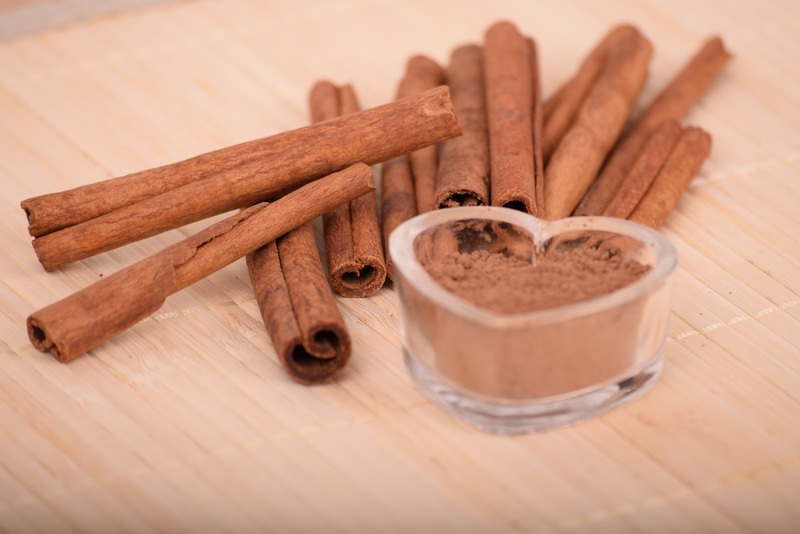 Young Living's cinnamon bark essential oil is from the Cinnamomun zeylanicum. It comes from a tree. A quick search online and you'll find that this species of Cinnamon originates from the island Sri Lanka (formerly called Ceylon), southeast of India. 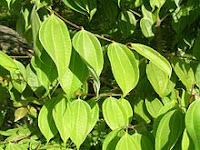 It is also native to south-west India and the Tenasserim Hills of Burma. Several attempts have been made to transplant cinnamon trees to other parts of the tropic world, but they have become naturalized only on the Seychelles (a Country in E. Africa). The tree is evergreen. You can read a ton about it on this website! It isn't the same as what you purchase in the store. You've probably seen those rolled sticks of cinnamon in the store or have thrown one in your cider cup. Young Living's Cinnamon Bark Essential Oil is different from those! It is distilled from the outer bark of the cinnamon tree. The store cinnamon powder is made from the inner bark. They harvest it in rolls then dry. Is it good for you? YES! Young Living offers two essential oils. 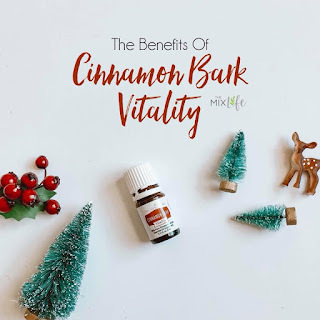 One is marketed as Cinnamon Bark Vitality™ which is labeled for internal use. They also offer another bottle that is labeled for aromatic and topic use. Both bottles contains the exact same oil. It needs to be said that it is VERY strong!! I recommend that you dip a toothpick into the bottle and swirl through whatever you are flavoring. Use a clean toothpick for each dip. 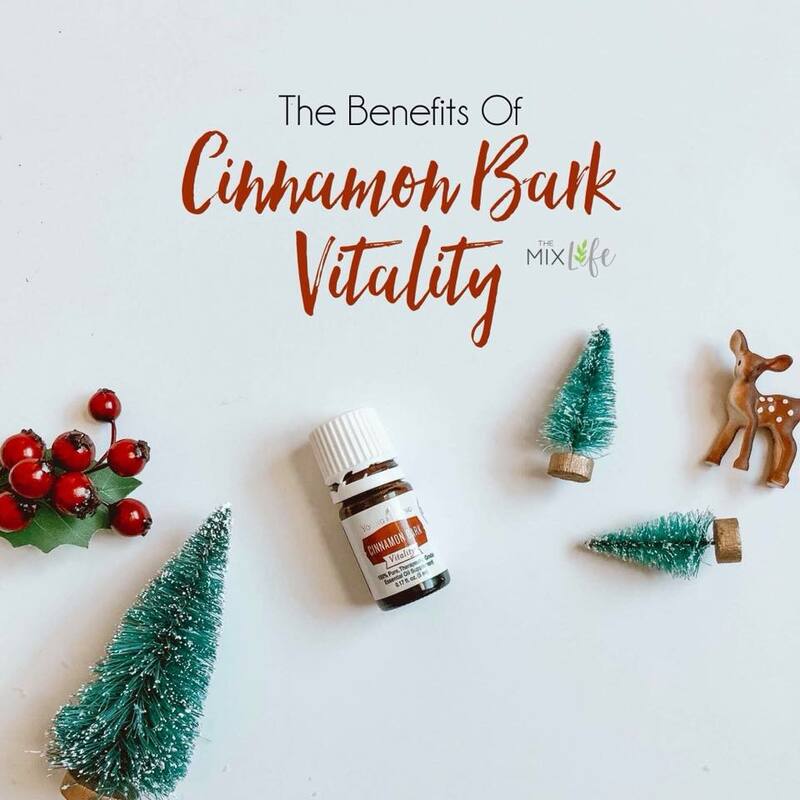 At this rate, that little bottle of Cinnamon Bark will last you forever! Some absolutely LOVE it in their coffee or their Ningxia Red Anti-oxidant drink. Cinnamon Bark is considered a "hot" oil. That means if you put it on your skin it will make your skin unseasonably warm. To avoid that feeling, dilute Cinnamon Bark essential oil with equal amounts of carrier oil (like Grapeseed, Jojoba, Almond, Coconut, Olive oils). Make sure you test it on your inner upper arm instead of spreading it in a large area. Young Living's V-6 oil is a perfect carrier to use. Use it for an awesome fruit dip for your holiday parties. And.....it IS the time of year for Pumpkin bread, bars, etc. Young Living also has a Pure Protein Complete shake powder that is so yummy. Adding the cinnamon to it starts the morning out yummy. Remember....just a tiny, tiny bit of oil swirled with your toothpick! Cinnamon Bark essential oil is warming! So use that to your advantage. Mix 3 drops CB oil with some V-6 for a warming foot massage. This is perfect for those of us whose feet freeze at night. Just put on a pair of warm socks and your feet will not only be warm but moisturized too. Not ready for bed quite yet.....then grab your favorite book or movie and a warm tea.....with cinnamon bark oil of course. Did you overdo it outside? Mix a few drops of CB oil with V-6 or your favorite massage oil and rub it in! Aromatically it puts those plug-in fresheners and bowls of potpourris to shame. Don't bother with those, just diffuse Cinnamon Bark oil! The kids will think you've been baking all day. (Maybe you might want to have a few cookies on hand just so they won't be disappointed.) Don't have a diffuser?, you can make your own room sprays by filling a spray bottle (2 - 4 oz is enough), add 1 teaspoon of witch hazel, 3 or so drops of the CB oil. Just spray around the room! It is great for getting rid of musty odors. Have you ever gone to the hairdresser and have her wash your hair. That scalp massage is so relaxing. Well, take a hint from the hairdressor and give yourself a scalp massage with 4 drops of CB oil and a carrier oil like Coconut oil. Use your fingers several minutes for that relaxing scalp massage. Then you can wash and dry your hair like you normally would. 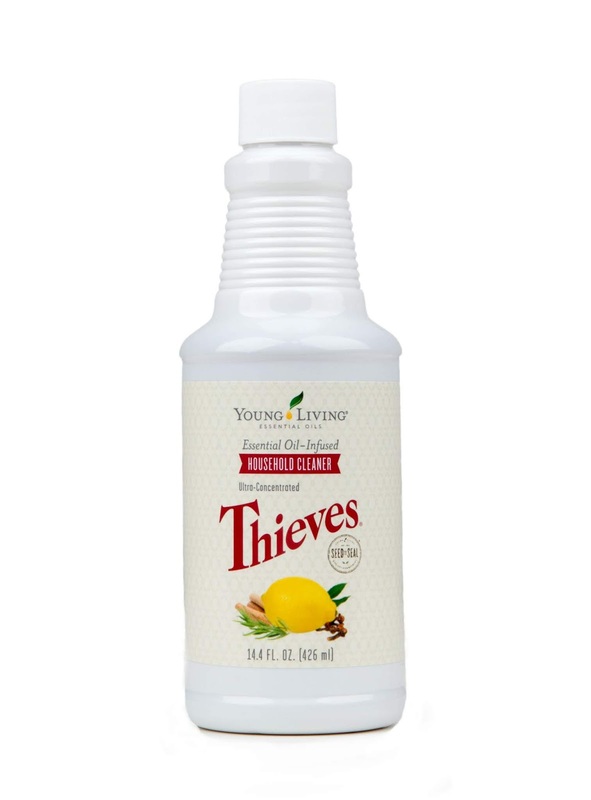 One of Young Living's most loved oils is Thieves. It is soooo good that they have a whole line of products using the Thieves blend of Cinnamon Bark, Clove, Lemon, Rosemary and Eucalyptus Radiata. You can clean almost any surface with it and you'll have a smell that reminds you of Christmas all around! 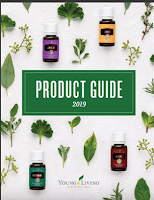 If you are interested in any of the products listed on this page, please click on the Young Living tab above for more information on ordering! Sometimes the world of essential oils can be confusing. Learning how to use them and what to use them for adds to the confusion. We are here to take the confusion out with some fun classes! We have three local classes coming up and we hope that you can join us! AND if these dates don't work for you, contact us and we will schedule a one on one class for you! All classes are identical and are taught at Ann's home and have a class fee of $5. If you are interested in attending, use our contact form to the right. You'll receive directions to Ann's home in Oregon City. See the prepayment perk below!! The cost of the class is $5. If you pay for your class ahead of class time, you will receive a FREE Itovi scan (a $15 value). This biofeedback scan gives you a list of essential oils that will help your body balance the frequencies that were scanned. We have found it to be VERY accurate! We can even take your payment via PayPal when you send it as funds to friends. 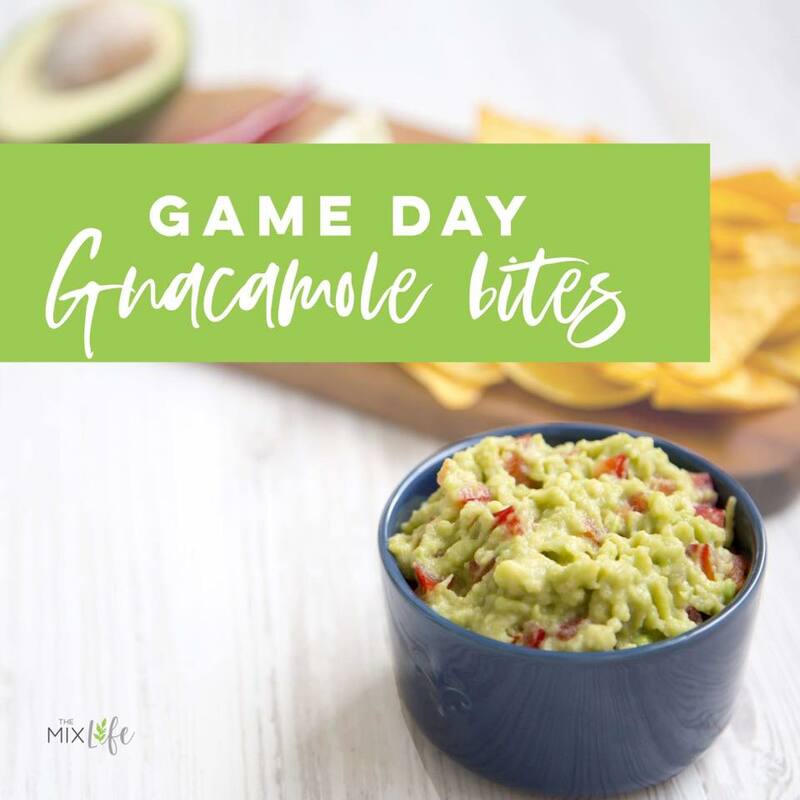 Whenever you have a group of people over for a party or for watching one of the big games, it is fun to have great snacks and munchies. Here is a recipe that will have them begging for more. Cut the sweet potatoes into circles, about ⅛” thick, and place on a baking sheet. Roast in the oven for 10 minutes, flip, and then roast for another 10 minutes or until browned and crisp. While your potatoes are roasting make your guacamole. Scoop out your avocados into a bowl. Mash with a fork. Stir in your cherry tomatoes. Add one TBSP of lemon juice, 4 drops Lime Vitality, and 6 drops Citrus Fresh Vitality and mix well. Season to taste with your garlic powder, onion powder, and salt. Remove your sweet potatoes from the oven and let cool. Once cool, top each sweet potato disc with guacamole and add a pinch of fresh cilantro. When you have tried it, comment below how well everyone in your crew liked it!! If you are interested in purchasing Citrus Fresh & Lime Vitality, visit our Young Living tab above for three different ways you can purchase pure Young Living essential oils!